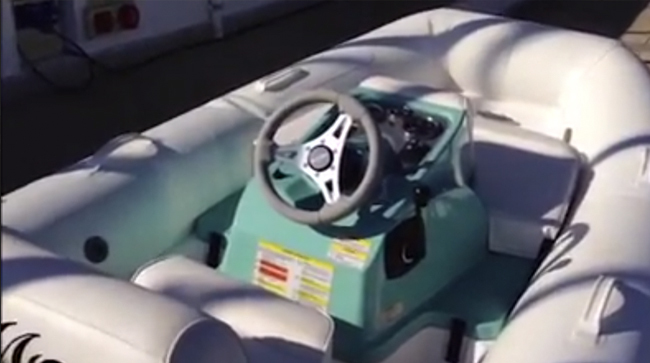 Monte Carlo Yachts rolls out the 2015 MC4; let's take a close look at this new powerboat. 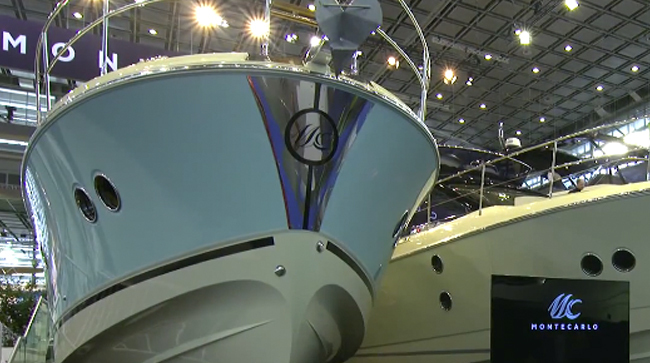 The 2015 Monte Carlo MC4 was on display at the Fort Lauderdale boat show, and that gave our boat review expert Zuzana Prochazka a chance to jump onboard and shoot this quick First Look video. Note that the Monte Carol MC4 isn't just designed for modern entertaining, it's also designed for modern performance. 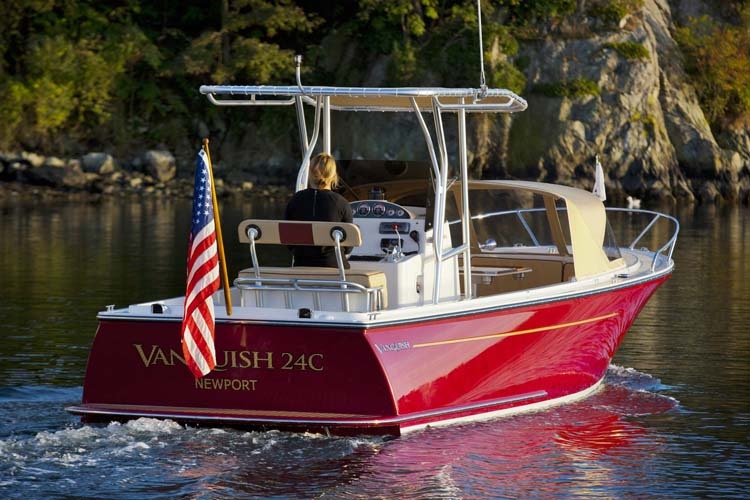 This boat runs on Volvo Penta IPS pod drives, which have proven superior to traditional inboards in many ways. In fact, this 45'3" long, 17'10" wide, 26,499 pound boat hits 30 knots and cruises in the low 20 knot range while burning just 28 or 29 GPH. 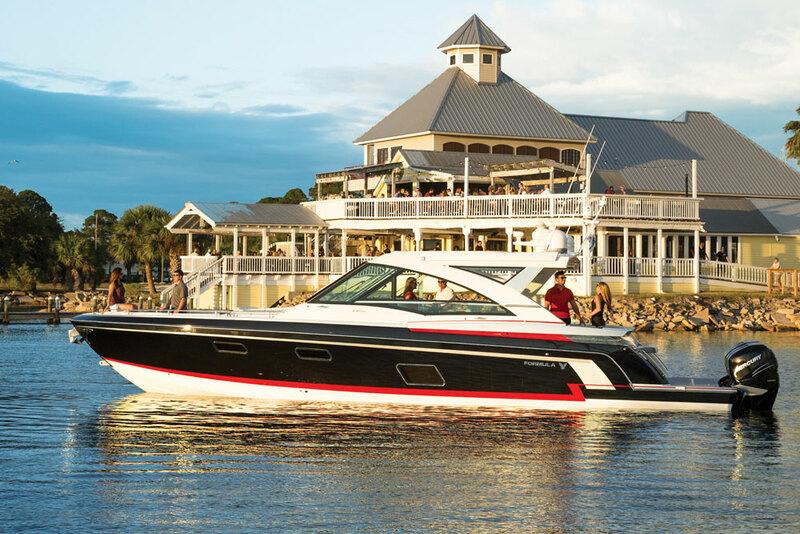 Even though it couldn't move from the dock at Fort Lauderdale, we have confidence in these numbers because another one of our reviewers, Gary Reich, ran this boat in Annapolis, Maryland, shortly before the show. 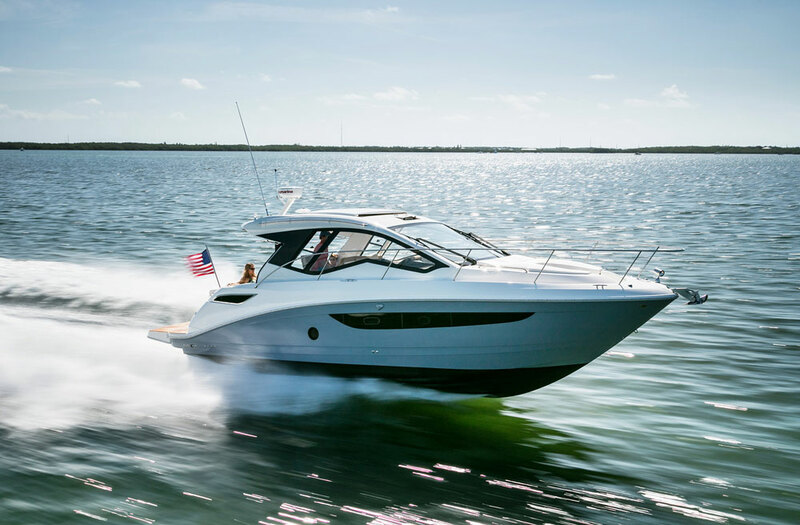 To get his impressions and learn more details about the Monte Carlo MC4, read his full review: Beneteau Monte Carlo MC4: Plush Performance. Wait a sec—did that say Beneteau? You bet. 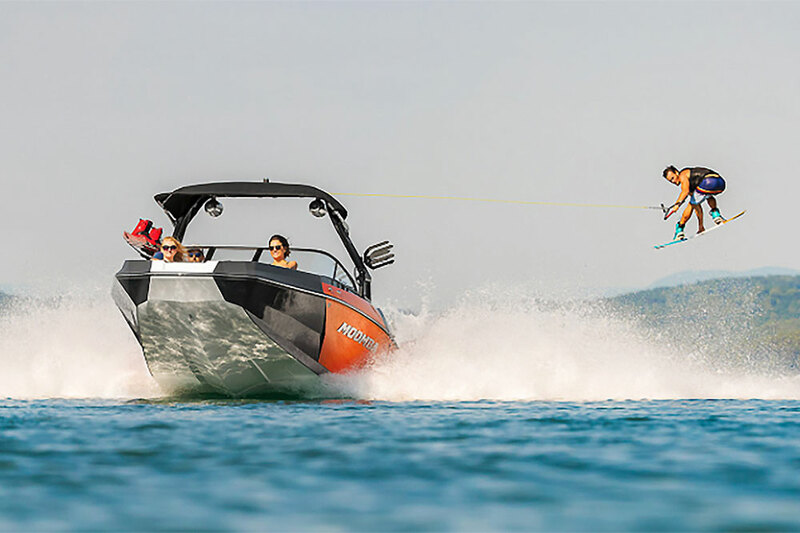 Sure, Beneteau is known for building sailboats, but you probably have also heard of their powerboat offerings, which cover a wide range. There are trawlers, like the Swift 34. There are sport cruisers, like the Gran Turismo 35. There are fishing boats, like the Barracuda 9. And, they even have a line of small, open boats, like the Flyer 6 series, which includes a number of runabout models. 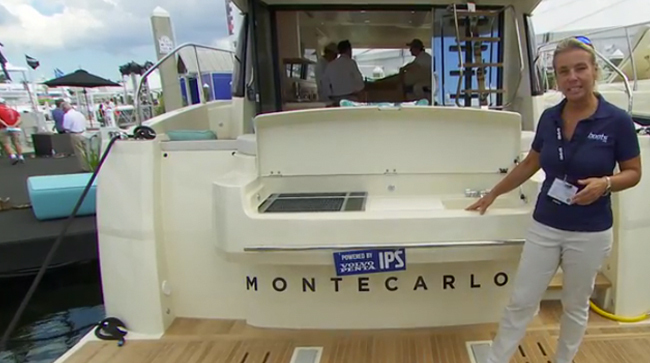 Monte Carlo is this builder's yacht line, and consists of their larger, plusher, more extravagant offerings. They range from the 45 up to a 60-footer. 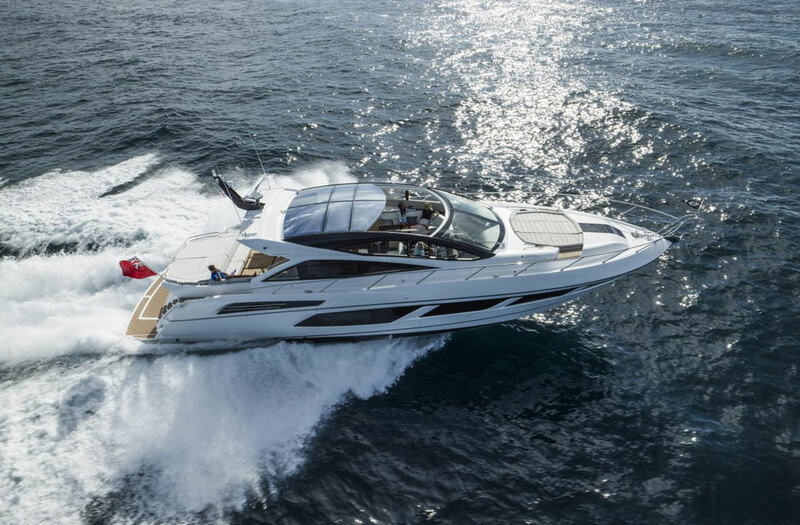 You can gather even more info on the Monte Carlo MC4, by visiting the Monte Carlo Yachts web site. Or, to see some yachts in specific, take a look at these Monte Carlo listings.